Generally cloudy. High 76F. Winds SE at 10 to 20 mph.. The iconic disco group the Village People and country music artist Tracy Byrd were revealed as headliners for the City of Baytown’s 4th of July celebration. Parks and Recreation Director Scott Johnson revealed the lineup to city council Thursday night, which will feature five bands over the two-day event. Bicentennial stage on July 3rd. Before the highly anticipated performance, New Orleans based quartet Bag of Donuts will take to the stage. Then on July 4th, soul singer and Houston native RL Bell will perform followed by Joe Diffie and Byrd. Byrd, known for hits like “Watermelon Crawl, “Keeper of Stars,” and “I’m From the Country,” returns to Baytown after being the headliner at the Independence Day event in 2008. Bag of Donuts will open at 6 p.m. on July 3 before the Village People goes on at 8 p.m. The celebration continues at 4 p.m. on July 4th with RL Bell, followed by the Fourth of July Parade at 5:30 p.m., Diffie at 6 p.m., Fourth of July Ceremony at 7:45 p.m., Byrd at 8 p.m., and the Fireworks Extravaganza at 9:30 p.m.
Johnson hopes to have Texas Born entertainment back again to offer all kinds of amusement park-style rides and games, as well as various food and arts and craft vendors. “Of course, we have a great fireworks show and the 4th of July Parade,” Johnson said. Vendor booth spaces are available for purchase for crafts, games and food. 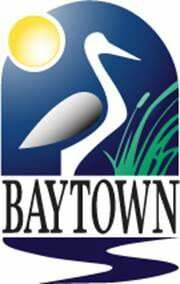 Anyone interested can call Baytown Parks and Recreation at 281-420-6597 or can visit www.Baytown.org.